"Very serious discussions are underway." 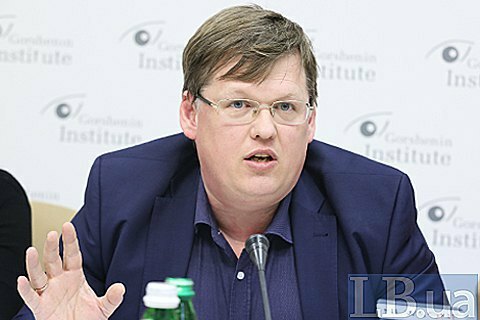 Deputy Prime Minister Pavlo Rozenko has said that the Cabinet of Ministers has yet to work out a model of pension reform but, in his opinion, the future national pension system must include elements of mandatory deductions. "To date, the Cabinet of Ministers does not have a final vision of the pension reform. We are in dialogue with specialists. Very serious discussions are underway," Rozenko said at a roundtable hosted by Gorshenin Institute on 14 March. The official said he would never support a pension reform without introducing a full-fledged second- and third-tier pension insurance system. "Ukrainians are entitled to have decent pensions, and only a three-tier pension system can provide it," Rozenko said. The deputy prime minister suggested that Ukraine was at least 15 years late with the introduction of a three-tier pension system based on the 60-30-10-per-cent formula (solidarity system, accumulation system, and non-state pension insurance). "For fifteen years, our officials would say: not now, conditions have not ripened yet, there is no stock market, where to invest, there is not enough resources, etc. For fifteen years, we have heard the same thing, although everyone understands perfectly well that a normal stock market will not work until there is a resource. Likewise, non-state pension funds will not work until there is a mandatory funded pension system," Rozenko said. In his opinion, Ukraine would have lived through the crises of 2008-2009 and 2014-2015 much easier should the country have the cushion of a funded pension system.